New shoes!! 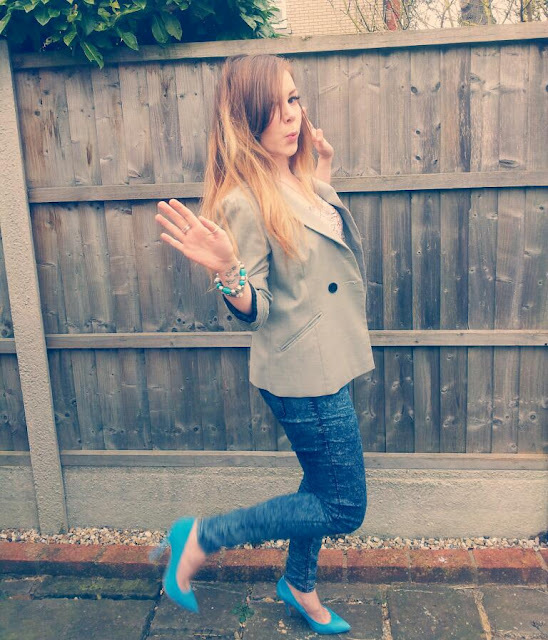 | Nicki Kinickie Nicki Kinickie: New shoes!! Anyone who follows me on Twitter will know that despite the fact I am now budgeting my money weekly I still torture myself by browsing Topshop's website and falling in love with more and more items of clothing or pairs of shoes. This week though, I was actually on the hunt for a new pair of shoes for a christening I am going to in two weeks time. 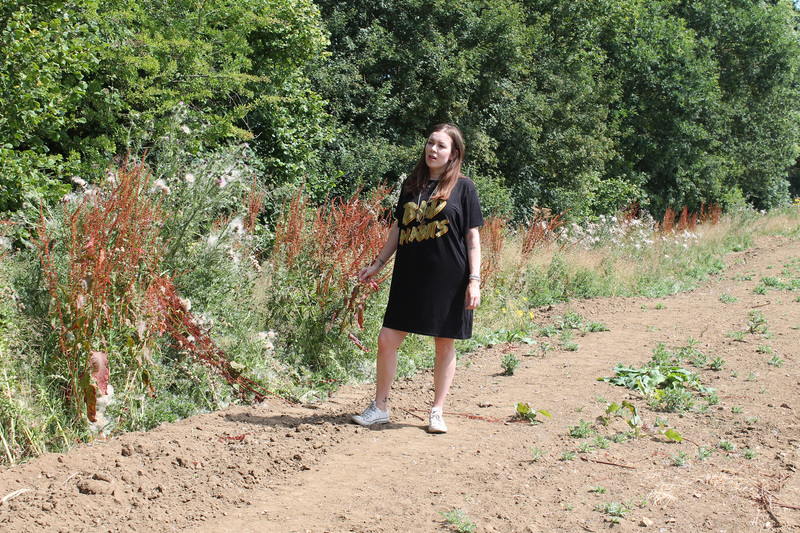 Now the old me would have just gone out bought a new dress, new bag and new shoes but as I am turning over a new financial leaf I thought I would wear a dress I already have and love and just invest in some new shoes. (I DO need new shoes because I got rid of a load last year and most of my heels aren't really suitable for a church or are too summary and judging by the weather this weekend I can't see it being a heatwave anytime soon). 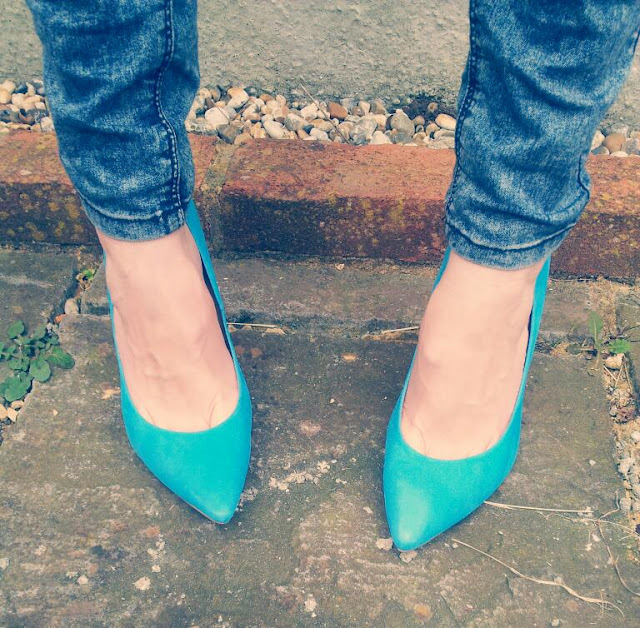 So, I naturally had a little look on Topshop's website and as you will have seen in a previous post, I found a stunning pair of suede electric blue court shoes that I instantly fell in love with. Not only are they smart and stylish but they will look so nice with the black and white dress I am planning on wearing. Because I have been SO GOOD at budgeting my money, cutting back and putting money aside I was able to buy them and they are even more beautiful in the flesh! they are also very comfortable too (well walking up and down my living room they are, maybe after a day in them and I will change my mind!). The best part is it is so much more enjoyable wearing them and knowing I budgeted and saved for them properly too..... Man, I must be finally growing up! I think the colour is gorgeous and will jazz up so many different smart outfits but for now, I tried them on with a pair of skinny jeans, an aztec print top and grey blazer jacket.